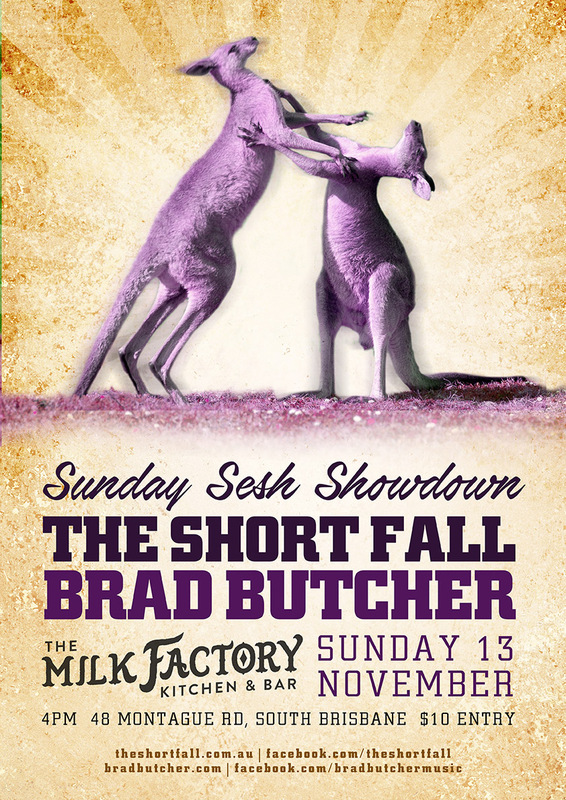 Capricorn Coast troubadours, The Short Fall are teaming up with Brisbane counterpart, Brad Butcher for a laid back Sunday afternoon of acoustic storytelling on the 13th November. The Short Fall, aka siblings Angelo & Ryan Conway, are bringing their harmony-driven acoustic folk to Brisbane for a show that will feature their good mate and Mackay expatriate Brad Butcher, carrying their relaxed regional vibe to the big city. Both Butcher & the Conway brothers harbour a work ethic which has seen them travel seemingly every kilometre of the vast Queensland landscape, carving a name for themselves as tireless bards delivering with emotion & sincerity from the tropics of Cairns, to the beaches of Maroochydore and the mining communities of Dysart. Brad Butcher is back in his home town after a short stint in the USA, which including a performance at the iconic Bluebird Café in Nashville. Drawn to American country roots music, his latest album, Jamestown was recorded in the States, and centres around the themes of travel and the contrasting lifestyle of a fly-in fly-out worker who always has home in his heart and a guitar close to hand. The ‘showdown’ theme for the performance is a tongue-in-cheek nod to the rivalry between their hometowns of Mackay & Rockhampton – nothing that can’t be settled over a quiet beer or two.